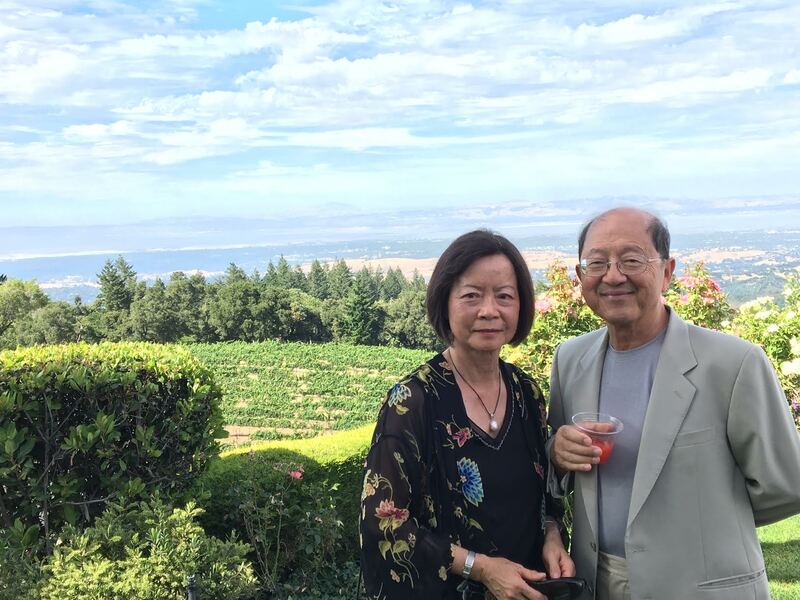 SAN JOSE, CA — San Jose State University is pleased to announce that it has received a $2.5 million gift commitment from South Bay business leaders Gloria and Michael Chiang. The gift will support scholarships and pre-professional endeavors at the Don and Sally Lucas College and Graduate School of Business. A proud alumna, Gloria Chiang holds two degrees from SJSU. The Gloria and Michael Chiang Scholarship will provide full-ride, renewable annual scholarships to two undergraduate students majoring in business who have demonstrated academic excellence and financial need. In addition, the Chiangs have committed to providing financial support for the business college’s new Professional and Career Readiness initiative. “This gift will help us begin to scale touch points so that every student in the college has multiple professional development experiences,” Moshavi said. The Professional and Career Readiness initiative takes business students from backpack to briefcase through integrated curricular and co-curricular offerings that enhance their professional and soft skills. Examples include business etiquette and job search skills. “Gloria and Michael Chiang’s gift to the endowment fund managed by the Tower Foundation of San Jose State University will enhance our ability to provide consistent and lasting support for our students as they prepare to enter the workforce and contribute to our community and the world beyond,” said Vice President for Advancement and Tower Foundation CEO Paul Lanning. Gloria Chiang earned a bachelor’s in business administration in 1978 and an M.B.A. in 1979 from SJSU. An excellent student, she was elected to the Phi Kappa Phi honor society. “I was lucky enough to have attended SJSU when tuition was free, and I realize how expensive it is nowadays to go to college, especially after my experience with helping a niece through her graduate degrees. I think even student loans are outrageously expensive and onerous,” Gloria Chiang said. “We are delighted to have this opportunity to establish a scholarship fund at the Lucas College and Graduate School of Business. Being able to be in a position to help some deserving students attain their goals in college gives me and my husband great satisfaction,” she continued. Chiang went on to a successful career in business and banking before serving as chief financial officer for DKB Homes and Charles W. Davidson Co. In addition, she serves as president of the Davidson Family Foundation. All three organizations were founded by real estate developer Charles W. Davidson, himself an SJSU graduate. Davidson earned a bachelor’s in civil engineering in 1957, and made a $15 million gift to SJSU in 2007. The College of Engineering was named in his honor. 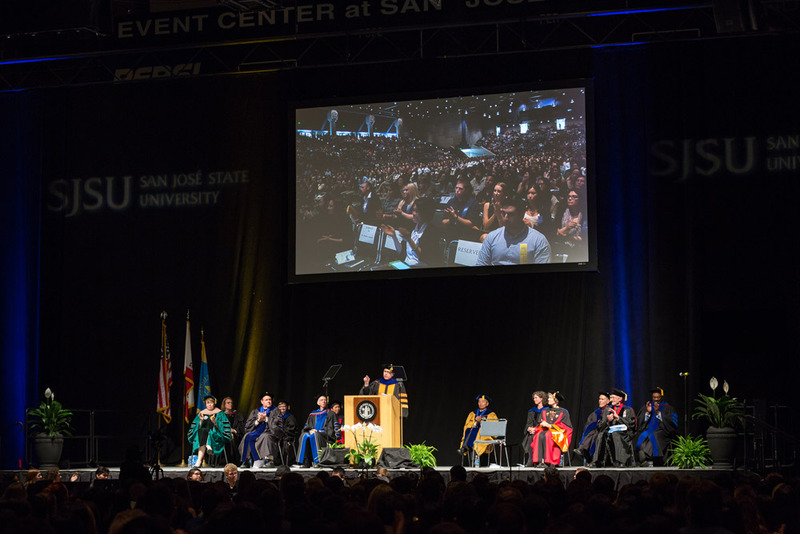 With more than 33,000 students and nearly 4,370 employees, San José State University continues to be an essential partner in the economic, cultural and social development of Silicon Valley and the state, annually contributing 10,000 graduates to the workforce. When Kenney Chiu, ’15 Business Finance, joined 4,127 Dean’s and President’s Scholars as part of the Honors Convocation in the Event Center on April 15, someone special shared a seat with him — his baby boy Abraham Charles. 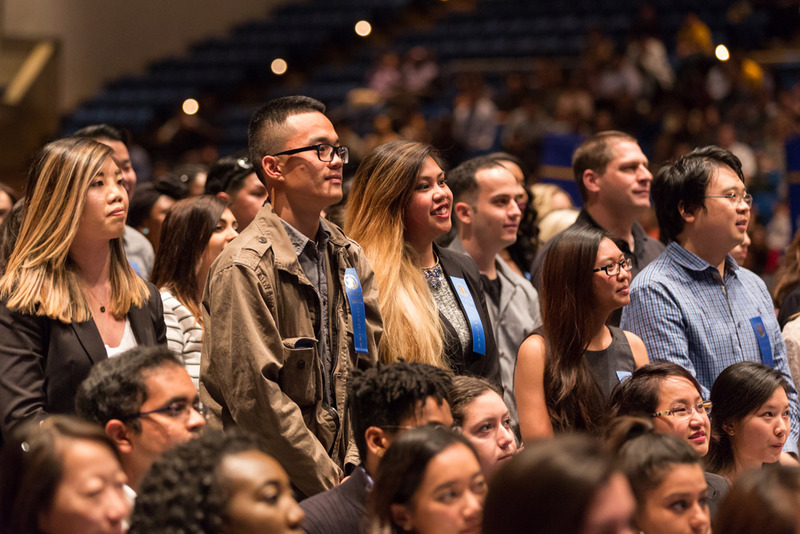 Chiu joined a record number of 3,714 students honored with recognition for earning a 3.65 or higher GPA in at least two contiguous of the past three semesters at San Jose State. Although Chiu credited his honor with the exceptional teaching found in his home Lucas College of Business, he stressed the impact that his baby boy has had on his academic accomplishments. Interim President Sue Martin took a moment during the ceremony to praise the “unsung heroes,” including family members, friends and spouses who helped support and guide the student scholars. For Emily Vann, ’16 Public Relations, her President’s Scholar recognition was a testament to her mother Olivia and her coaches both on and off the basketball court. Vann joined a record setting 59 student-athletes recognized for academic excellence, including eight student-athletes who maintained a perfect 4.0 GPA for at least two contiguous of the past three semesters. Vann, a forward on the SJSU women’s basketball team, said she could not have reached the academic milestone without the support of her mother. Provost Andy Feinstein said such support by loved ones and faculty members alike married with personal sacrifice helped usher in the record number of honored scholars this year. 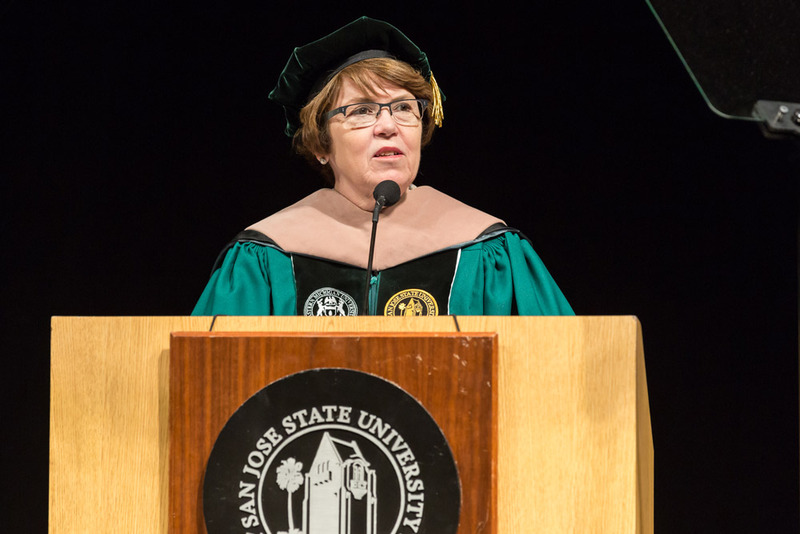 “These students have shown a commitment to their studies, through personal, economic, social and educational circumstances, to be among the top one percent at this university,” Feinstein said. Kenneth Peter, 2016 Outstanding Professor, said in his keynote speech that students should be fueled by the various sacrifices they make in their quest for higher education. Peter’s assertion rang particularly close to home for Jamil Elbanna, ’16 Mechanical Engineering, who spent most of his academic career working two jobs in addition to his schoolwork. In order to finance his way through college, Elbanna took a job as a courtesy clerk at Safeway and a security officer at a hospital, all while pursuing a degree. Peter concluded his keynote speech by reminding the student honorees that by receiving recognition for their academic accomplishments, they are also receiving an important responsibility. 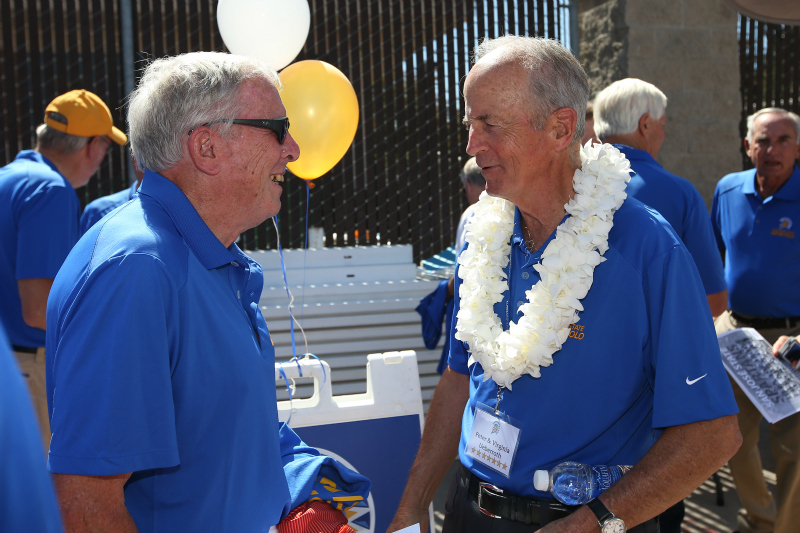 Peter Ueberroth (right) continues to support the SJSU men’s water polo program (photo: Terrell Lloyd). Editor’s Note: The following is an excerpt from an NCAA news release posted on Dec. 16. Marking a successful career in business and sports, Peter Ueberroth will be recognized in January at the NCAA Convention with the NCAA’s highest honor, the Theodore Roosevelt Award. Named after the former president whose concern for the conduct of college athletics led to the formation of the NCAA in 1906, the award is given annually at the NCAA Honors Celebration to an individual who exemplifies the ideals of college sports. Ueberroth was previously named a 1984 NCAA Silver Anniversary Award honoree commemorating the 25thanniversary of his graduation from college. The young man peered at a striped yellow ball – he had never encountered one like it before. It was four weeks before his graduation from Fremont High School in Sunnyvale, California, and Peter Ueberroth was about to be presented with a life-altering opportunity. After swimming a few laps, a cinch given his background as a lifeguard, he fired that ball into a target, again and again. Six decades later, Ueberroth still remembers trying that strange new sport in front of San Jose State University water polo coach Ed Rudloff. The meeting was arranged by Ueberroth’s high school football coach, Ken Stanger, a former San Jose State football player who recommended Rudloff take a look at the strong-armed football and baseball player. If not for the opportunity provided by the water polo scholarship that resulted from that tryout, the future Time magazine Man of the Year said he wouldn’t even have attended college. Ueberroth’s experience at San Jose State served as a springboard to a career spent at the highest levels of business and sports.